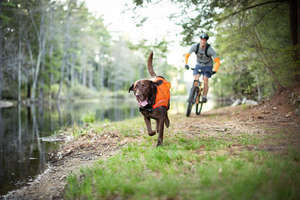 Run, hike and adventure with your dog knowing he’s safe and visible whatever your surroundings might be. This weatherproof vest from Kurgo is great for all active dogs. 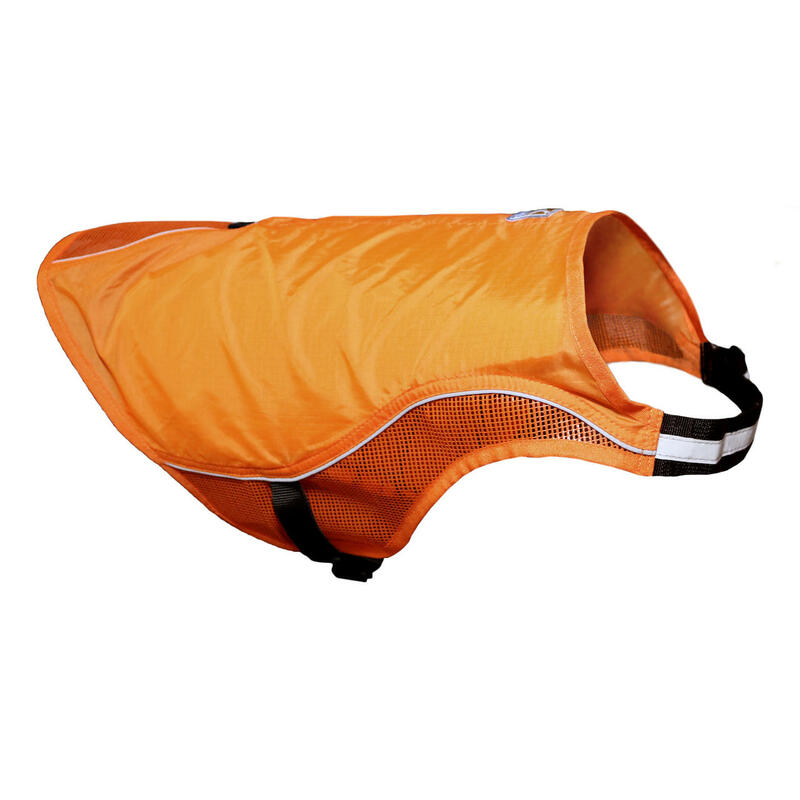 Great for hunting season, runners, daily walks, or any activity that better visibility of your dog makes a safer experience. 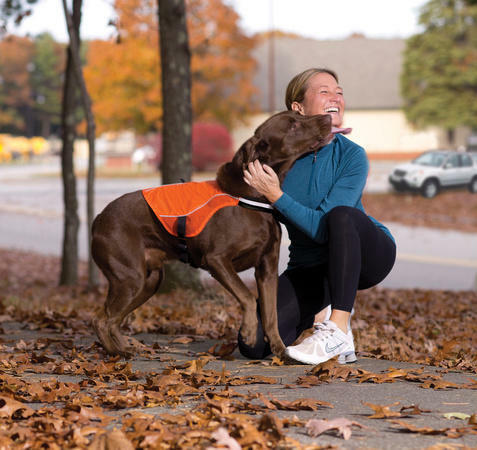 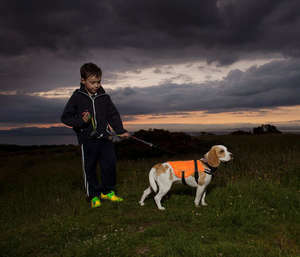 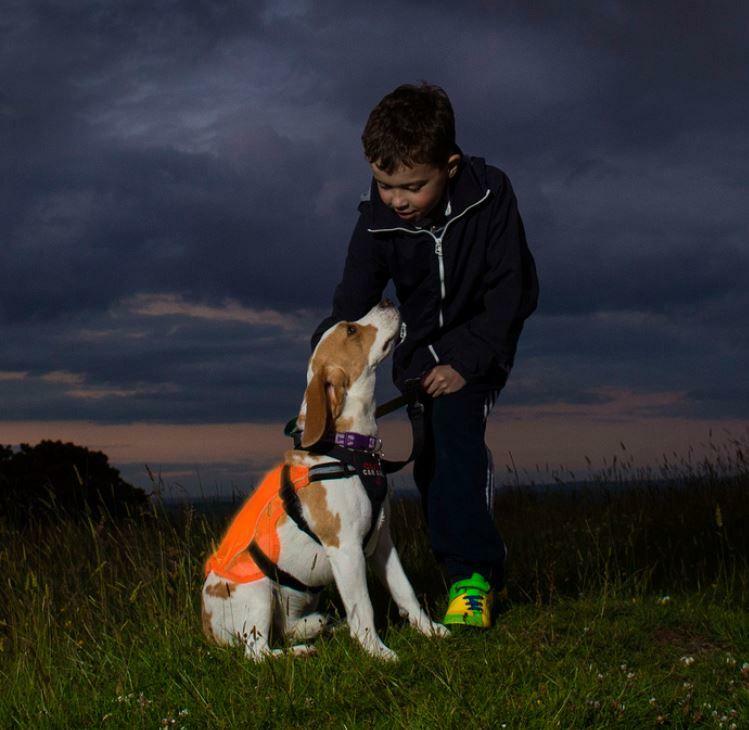 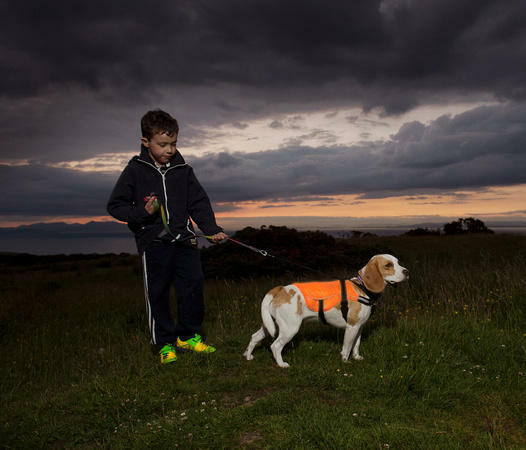 The Kurgo Reflect & Protect LED Active Dog Vest features a bright orange reflective, lightweight fabric and the vest includes a flashing LED light strip with 3 settings, providing visibility up to 1,000 feet. 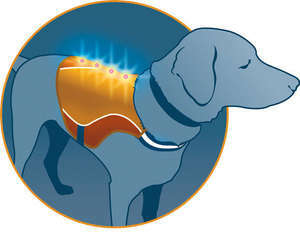 * It activates with a quick push of the button. 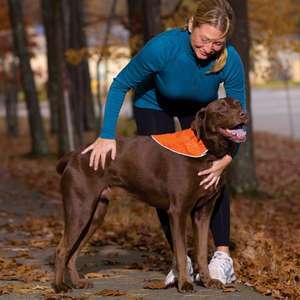 *Independent test results. Actual results may vary.